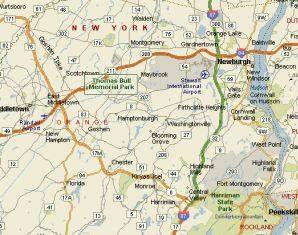 DESMO's biggest event of the year is scheduled for Sunday, August 5, 2018 at the Thomas Bull Park in Hamptonburgh, NY (Orange County). We have a private section reserved for us, complete with covered picnic tables and a lush lawn to spread out with. There is plenty of room for you, your bike, and your friends and family. Large and level parking lot for trailers. Restrooms on premises. As always, we'll host our World Famous door prize raffle, with fantastic donations from our favorite sponsors. Expect gift certificates; trackdays; riding gear and accessories; shirts and other apparel; parts and accessories; oils and cleaners; DVDs; and so much more! Bring your tankbag, saddlebags and tailbags. Everyone gets one free door prize ticket, and everyone will go home with something. This is your chance to meet and mingle with scores of DESMO members, talk about and show off your bikes in our bike show, brag about your trackday experiences, and check out the bling on everyone else's bike. And it’s a great way to share your passion with your family, too. The park is very kid- and pet-friendly, with lots of lawn and a nearby playground. 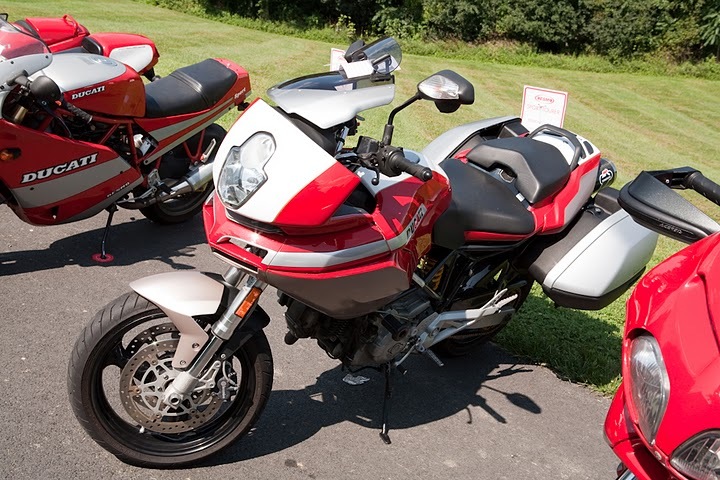 In conjunction with the BBQ, we will host our Annual Ducati Bike Show. So, order that last minute bling, spit & polish your bike ‘til it shines, and get ready to show off your loved one(s). We’re always surprised by the great bikes that come out to play—it’s literally a rolling timeline of Ducati history. Unique trophies to each Best in Class and Best of Show. Additionally, the Stronzo, Pigpen, and the Bling Awards will be making their return with some new friends as well. Don’t worry-there’s a huge parking lot so there’s plenty of room for your trailer, if your wife, kids, and dog won’t fit comfortably with you on top of your bevel single. Tickets are available in advance only. The price for adults is $25 each with children under 12, $12 each. Check out theDESMO Shop and combine your order with your BBQ payment. We will hopefully have your 2018 DOC member packet on hand. If you aren't already registered, you can sign up on Ducati's Website. DESMO is listed under "New Jersey." Please observe all local speed limits while traveling in the park. 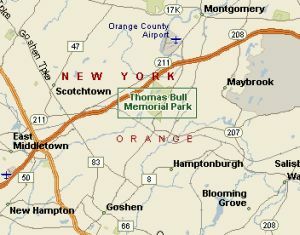 And please note that Thomas Bull is an alcohol-free facility.